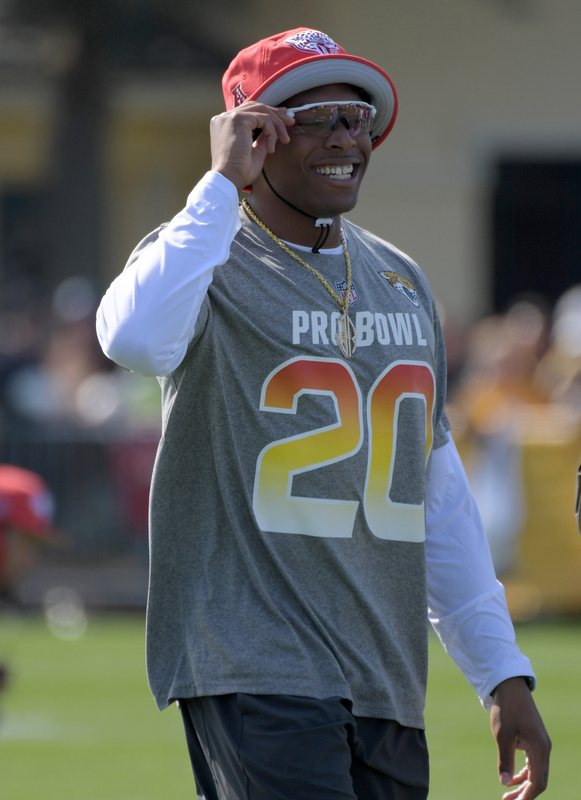 Jalen Ramsey has been vocal about his desire for an extension and has clashed with team brass in the past, but he won’t be traded this offseason, GM Dave Caldwell says (via PFT). The Jags also intend on exercising the defensive back’s fifth-year option, so it appears that he’s in their plans moving forward. Last year, the 24-year-old (25 in October) tallied 65 total tackles and three interceptions en route to a second career Pro Bowl nod. He had similar numbers in 2017, leading him to a First-Team All-Pro nod. His outbursts aren’t necessarily well-received in Jacksonville, especially since old-school football figure Tom Coughlin sits above Caldwell, but the team is willing to take the good with the bad. On the surface, the Jaguars making the decision to pick up Jalen Ramsey‘s fifth-year option is not surprising. They indeed plan to exercise the All-Pro cornerback’s 2020 option, Dave Caldwell said Wednesday (Twitter link). However, with recent noise indicating an uncertain future for the standout defender in Jacksonville, it is somewhat notable. The Jags were connected to Ramsey trade talk as recently as December. The No. 5 overall pick in 2015, though, wants to stay in Jacksonville. Ramsey is set to make $3.6MM in 2019; his salary will spike to eight-figure territory in 2020. The Jaguars are not in the best cap shape, at least compared to how they stood in recent offseasons, but Ramsey is arguably their best player. He has obviously been outspoken and received a team-imposed suspension last year. Though, he did not miss any regular-season games and has played all 48 regular-season contests since arriving in north Florida. The former Florida State standout earned his second Pro Bowl nod this past season, intercepting three passes. In addition to Ramsey, the Jags have young defenders Myles Jack and Yannick Ngakoue in line for extensions. All three are now extension-eligible, their third seasons having concluded. Jalen Ramsey has heard the trade rumors and he wants to put them to rest. The Jaguars deny wanting to move on from the talented cornerback, but Ramsey wants them back up the talk by engaging in contract negotiations. Ramsey would like a long-term commitment, but the Jaguars are under no real pressure to give him one. His rookie deal expires in 2019, but the Jags are expected to pick up his fifth-year option in early May, keeping him under control through 2020. After that, the Jags could keep him away from free agency once, and even twice more, through the franchise tag. This figures to be an offseason of upheaval in Jacksonville and the Jags could get a huge haul if they decide to shop the former No. 5 overall pick. He’s also having a solid year on an individual level, even though the Jaguars have sagged. Ramsey has three interceptions thus far and ranks as the No. 27 corner in the league, per Pro Football Focus. 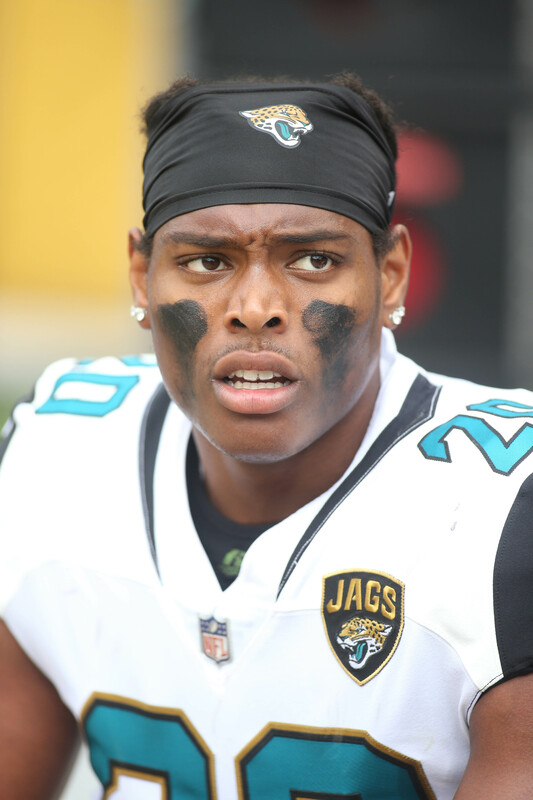 Jaguars To Attempt To Trade Jalen Ramsey? Jaguars cornerback Jalen Ramsey is undoubtedly one of the most talented corners in the NFL, but his brash and outspoken nature is apparently wearing thin in Jacksonville. Adam Schefter of ESPN.com reports that the Jags will seek to trade Ramsey — who was named a First Team All-Pro last season and who can be controlled through 2020 — this offseason. The team suspended Ramsey for a week during the preseason due to “violating team rules and [engaging in] conduct unbecoming of a Jaguars’ football player,” and that suspension appeared to stem from a series of tweets attacking media members for their criticism of then-teammate Dante Fowler. Ramsey is no stranger to controversial statements, however, as he has repeatedly made headlines for his vocal opinions about himself and opposing players. But while he has every right to be confident, and while Jacksonville doubtlessly appreciates his self-esteem, the club does not like the way that confidence is manifesting itself. One league source said he “absolutely” believes the team will try to trade Ramsey, while another NFL GM said he would not be surprised if the club elects to go that route. If Ramsey were to be traded, his behavior would probably not do much to dampen interest in his services. As ESPN’s Field Yates tweets, Ramsey’s talent and his favorable contract status — he is due just $3.6MM next year before his fifth-year option would kick in for 2020 — would be seriously tempting to all 31 other teams in the league. The Jags are in the midst of a five-game losing streak and have been one of the biggest disappointments in the league after narrowly missing a trip to the Super Bowl last season. Today’s report, if true, would not do much to make Jacksonville fans any happier about the way this year has gone. The Jaguars suspended cornerback Jalen Ramsey for a week of preseason action, but the ban won’t void his guarantees, according to Mike Florio of PFT (on Twitter). That’s because the Jags suspended Ramsey for “violating team rules and conduct unbecoming of a Jaguars football player,” rather than “conduct detrimental.” The small difference in language made a huge difference in the outcome for Ramsey, and probably kept the team on good terms with one of its defensive stars. Unfortunately, there’s no loophole to help defensive end Dante Fowler Jr. Thanks to a previous suspension under the personal conduct policy, Fowler’s future guarantees have already been eliminated. Jets linebacker Lorenzo Mauldin will miss another week with a hamstring injury, Ian Rapoport of NFL.com tweets. Mauldin will wind up missing the first two preseason games of the year, and that’s a bad sign for his odds of making the roster. Over the weekend, we heard that the former third-round pick could be released sooner rather than later. Can wide receiver Eric Decker make the Patriots’ 53-man roster cut? Right now, Doug Kyed of NESN.com doesn’t think so. So far, Decker has yet to impress, and Kyed sees him missing the cut along with Braxton Berrios. Kyed projects that the Pats will keep the following five receivers, in addition to the suspended Julian Edelman: Chris Hogan, Kenny Britt, Phillip Dorsett, Cordarrelle Patterson, and Matt Slater. Last week, the Patriots sweetened Tom Brady‘s contract. The Jaguars suspended star cornerback Jalen Ramsey for a week, reports Ian Rapoport of NFL Network (Twitter link). Michael DiRocco of ESPN soon posted in a follow-up tweet that defensive end Dante Fowler was being suspended as well (Twitter link). The suspension seems to stem from a series of tweets that Ramsey posted earlier, attacking media members for their criticism of Fowler. Fowler’s suspension was apparently unrelated, as he was suspended for “fighting and violation of team rules” according to Schefter (Twitter link). With the suspensions, Ramsey and Fowler will miss the next week of practices and the team’s second preseason game on Saturday against the Vikings. While they won’t miss any regular season time, it’s still a big deal. It’s very rare to see a team suspend one of it’s top players like this, and it’ll be interesting to see how the locker room responds. The Jaguars are contending for the AFC South title and, if things go awry at the top of the AFC, a first-round bye. And the defensive-powered team looks to have lost one of its top players because of an injury sustained at practice. Jalen Ramsey suffered a hand injury Friday during Jacksonville’s workout, Michael DiRocco of ESPN.com tweets, adding that Ramsey is questionable for Sunday against the Cardinals. However, the talented cornerback may be closer to doubtful. When asked if he would play in Week 12, Ramsey said, “No,” per DiRocco (on Twitter). Ramsey has not missed a game in his two-year career, starting all 26 for which he’s suited up as a Jaguar. Should the cornerback be unable to go, Aaron Colvin would likely move into the starting lineup. Journeyman Tyler Patmon and seventh-round rookie Jalen Myrick are the other corners on the Jacksonville roster. While the assignment isn’t as strenuous as it would have been under ordinary circumstances, with Blaine Gabbert returning to Jacksonville as Arizona’s starter rather than Carson Palmer or Drew Stanton, the Jaguars have received quality work from Ramsey and would obviously be weakened without him. Just a day after activating offensive lineman Ted Larsen, the Dolphins have decided to make him inactive for their Sunday night affair versus the Raiders. Larsen, 30, was forced onto the injured reserve for the first two months of the season after suffering a torn biceps in the offseason. It remains to be seen how long it’s going to take until Larsen returns to the starting lineup, but he’s expected to replace left guard Jesse Davis at some point over the next few games. Just as a key starter is returning in Larsen, Miami said goodbye to lead running back Jay Ajayi when they dealt him to the Eagles for a fourth round pick on the day of the trade deadline. The move came as a surprise to many Dolphins fans given the importance of the 24 year-old to the team’s offense. Armando Salguero of the Miami Herald opines that the deal was just another in a series of questionable decisions that the franchise has made over the last few years. Salguero points out the team’s moves to get rid of Vontae Davis, Brandon Marshall, Mike Wallace and Karlos Dansby as points in time where the team gave up too early on talent. The trade does open up more playing time for the likes of Kenyan Drake and Damien Williams, but the Dolphins’ offense will certainly look a lot different without Ajayi in the backfield. One of the many brawls as a part pf today’s slate of games came from an incident between Jalen Ramsey and A.J. Green. After Ramsey pushed one of the league’s best receivers after the whistle, Green unleashed a flurry of punches onto the Jaguars second-year defensive back, which prompted both sidelines into a shoving match. Both Green and Ramsey were ejected after the scuffle. However, Green was apologetic about the incident after the loss, as Michael DiRocco and Katherine Terrell of ESPN.com pass along. “I shouldn’t have reacted that way. I apologize to my teammates, [Bengals owner Mike] Brown, and everybody, because that’s not who I am. It just got the best of me today.” We’ll see how the league reacts to the situation as a suspension could be in order given the severity of Green’s reaction. While both players were forced to leave the contest, many around the league pointed out that Ramsey did not actually throw a punch. However, there was some clarity given out on that front after the game. Apparently, the officials said that Ramsey was ejected because they thought he did throw a punch, according to Ian Rapoport of NFL.com. 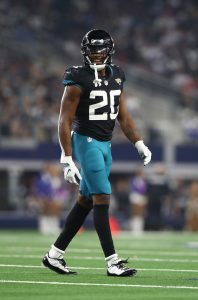 Rapoport reports that the Jags cornerback was informed by league officials after the team’s win that he was sent to the locker room because they thought he engaged Green too, even though it appears that Ramsey did not punch back. We’ll have to see how the Jacksonville players and coaches react to the apparent officiating mistake. The Texans worked out safety Jaiquawn Jarrett on Monday, tweets Aaron Wilson of the Houston Chronicle. Jarrett, a former second-round pick, spent the first two seasons of his career with the Eagles before joining the Jets from 2013-15. He didn’t appear in the NFL in 2016. A veteran of 47 career games, Jarrett boasts nine starts through five pro seasons. Houston has no plans to sign either Jarrett or fellow defensive back Aaron Williams, whom the Texans hosted earlier this week, as Wilson writes in a full article. Jaguars cornerback Jalen Ramsey underwent core muscle surgery Thursday, per NFL.com’s Mike Garafalo, who adds that he should be ready for the regular season (Twitter link). Ramsey also dealt with a notable injury last spring, a torn meniscus that required surgery and kept him out of organized team activities and minicamp, but still went on to post an excellent rookie season. 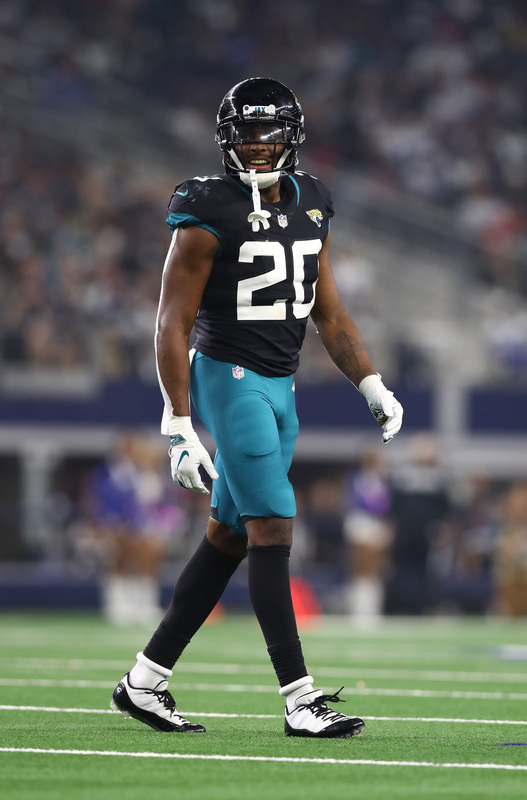 Last year’s fifth overall pick, Ramsey started all 16 of the Jags’ games, intercepted two passes (one of which he returned for a touchdown) and ranked as Pro Football Focus’ 21st-best corner. Josh McCown has a smaller-than-anticipated lead over Christian Hackenberg as the Jets’ training camp quarterback battle approaches, writes Rich Cimini of ESPN.com. McCown wasn’t all that sharp in minicamp, whereas Hackenberg exceeded expectations, per Cimini, who notes that Bryce Petty is a clear third in the race. The Jets invested a second-rounder in Hackenberg only a year ago, but it seems the ex-Penn State Nittany Lion is widely regarded as a lost cause after he couldn’t crack the lineup last season for a club whose QB play was among the worst in the league. But Hackenberg should get on the field sometime this year for a team that’s now in a full-scale rebuild.